Much attention has been drawn to adopt complicated and realistic physiological models for simulating cardiac electrophysiological activities with abundant computing resources for quite a long time. 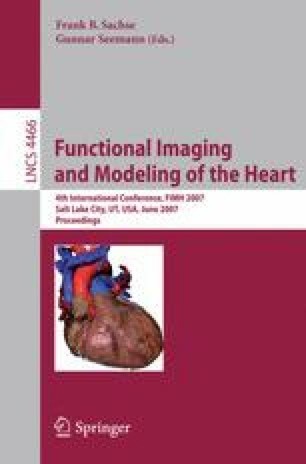 However, to incorporate these physiological meaningful models into the recovery/inverse framework for estimating patient-specific cardiac electrophysiological activities always needs to handle excessive computational loads caused by the complexities of models. Thus, a balance should be found between physiological meaningfulness and computational feasibility for the recovery/inverse framework. In this paper, a novel numerical scheme, combination of meshfree method and BEM (boundary element method), is proposed to simulate intracardiac and extracardiac electrophysiological activities, which is aimed to provide physiological meaningful simulations with feasible computation for our recovery/inverse approaches. In our simulations, intracardiac electrophysiological activities (transmembrane potentials, TMPs) are obtained by solving a modified Fitzhugh-Nagumo (FHN) model using the meshfree method, and then extracardiac electrophysiological activities (body surface potentials, BSPs) are calculated using BEM. Moreover, we demonstrate the ability of our meshfree-BEM framework through favorable results.